Amazon’s Kindle Direct Publishing team has advised authors participating in its new Kindle Unlimited (KU) ebook borrowing initiative it is adding a bonus of US$2.7 million in August – and that’s on top of the regular base fund amount of US$2 million. Apparently the bonus has been prompted by a “significant early trial response from customers” to KU. The top 10 most-read KDP Select authors will each receive US$25,000. 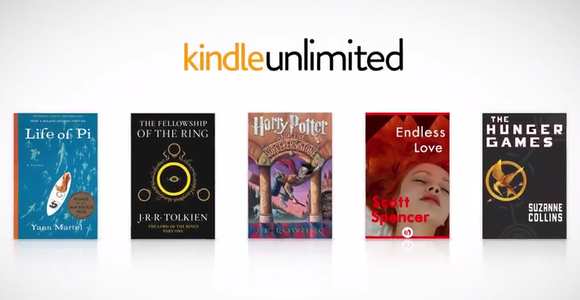 Healthy bonus in store for Kindle Unlimited authors. To further highlight the KDP Select (KDPS) books and authors that are most popular with customers, we are introducing a new element to the program: “KDP Select All-Stars”. Based on what KDPS titles are being read the most during the month, we will identify each All-Star author and title on each applicable KDPS title’s detail page. In addition, KDP Select All-Stars will earn financial bonuses paid separately from the $2.7M bonus. Anyone with titles in KDPS — even a debut author with a single title — can qualify if their work becomes a customer favorite. For August, we will pay out All-Star bonuses to the top 100 most-read authors and, separately, the top 100 most-read titles. We will calculate ‘most-read’ by combining books sold plus qualified borrows from KU and the Kindle Owners Lending Library (KOLL) during the month. Calculations only include sales and qualified borrows for titles enrolled in KDPS. Recipients will be contacted in the next few days. Denoting All-Stars on detail pages is a new element of KDP Select and we expect our approach to this will evolve over time. We hope it adds a little fun and adventure to the program! Finally, many authors outside the US derive most of their qualified borrows from KOLL and have not been able to benefit from the growth of KU. This has meaningfully altered their ability to compete within the wider pool of KDPS loans. To adjust for this, we are adding an additional bonus of $80,000 to be paid out on all KOLL loans outside of the US. ★★★★★ INVITATION: We’d love to hear from our followers, fellow authors, publishers/indie publishers and readers what you think about Kindle Unlimited. Let us know if you feel as positive about Amazon’s latest initiative as we do…and if not why not. Thanks!